The new Brookline town history will be available in mid-2019. Order your copy now and take advantage of a special pre publication price. Pre publication Price: $25.00, regular price: $35.00 after June 15th 2019. Buy this together with Parker’s original town history for $50 total ($60 with Parker index). 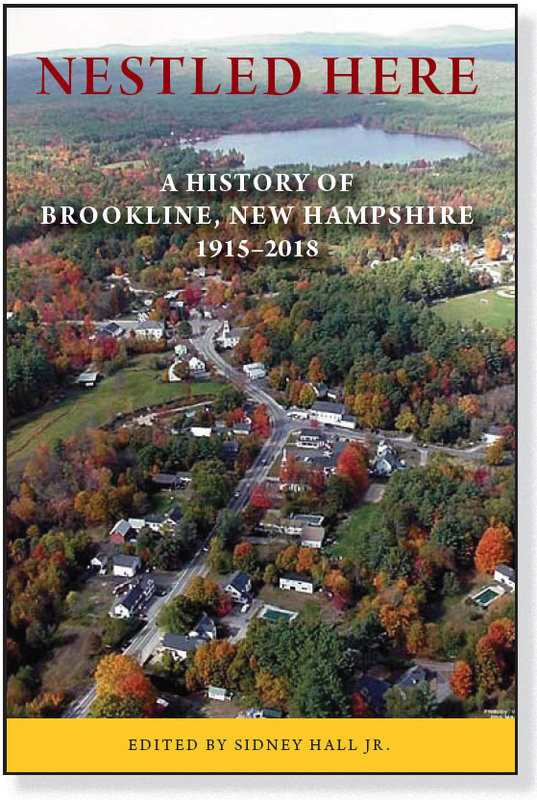 Please print the PDF form Nestled Here Book Form and mail form and payment to: Brookline History Committee Brookline Town Hall 1 Main St. Brookline, NH 03033 Please make checks payable to Town of Brookline, New Hampshire.